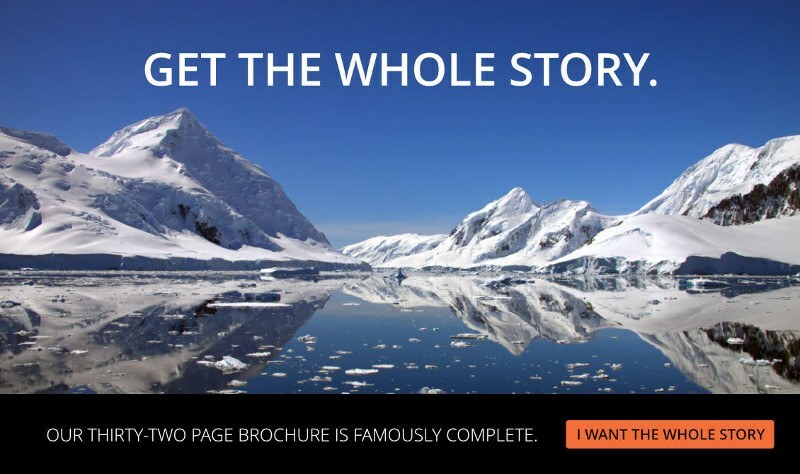 There’s no ‘typical day” in Antarctica (that’s what we love about it! ), but here’s a little taste of what you might experience. 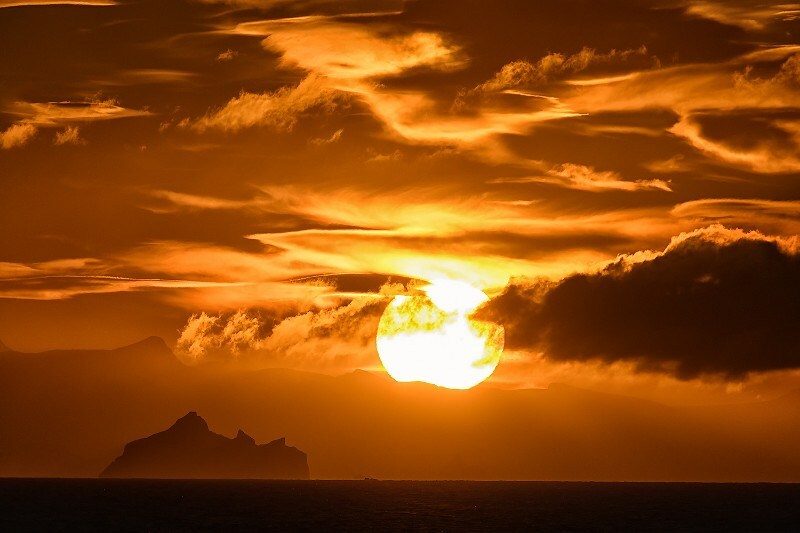 Our Captain has positioned the ship overnight and you awake to a breathtaking panorama. The sun has been up for several hours, but early-risers are just beginning to stir, some headed to the club, where hot morning beverages and sweet rolls are waiting. A few others (the crazy ones) are off for a jog on the Promenade deck, and a few more (the slightly less crazy ones) are headed to the top deck to soak up the view. Meanwhile, the Expedition Staff is hard at work, readying the Zodiacs and equipment for the morning’s adventure. Breakfast is served! Bring your appetite, because buffet service in the main dining room includes a wide assortment of cooked and continental options – crispy bacon, eggs to your liking, oatmeal, fresh rolls, toast, cold cuts, condiments, fresh fruits and a selection of juices. Bottomless coffee and a variety of teas are served at your table. Life in Antarctica is dynamic and daily adventures are, of course, adapted to take advantage of the best weather conditions. Today the conditions are perfect, so we’ll get into our outdoor gear and take part in a shore landing. 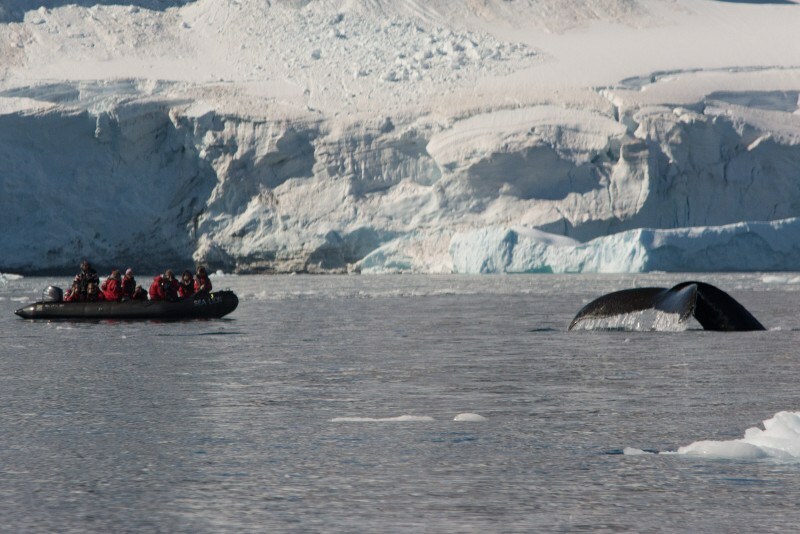 Some of us will “zodiac” straight to a rarely visited Chinstrap penguin rookery, others might head off on a “Zodiac cruise” in search of Leopard seals and whales, which abound in this area. 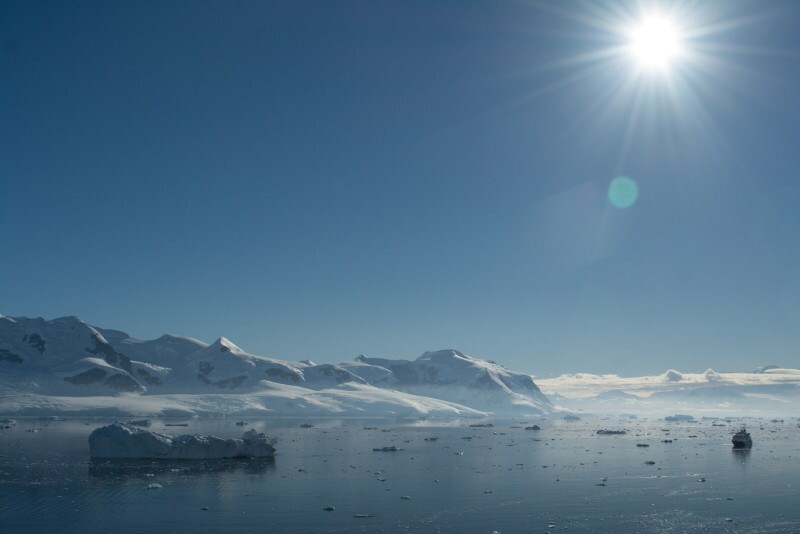 Antarctica is a photographer’s dream setting, and your only regret might be that you didn’t bring more memory cards! Are we hungry yet? Full lunch service is available in the main dining room, and a light buffet is offered in the bar. In our dining room, you’ll find a plentiful selection of salads and condiments along with hot appetizer dishes, all available buffet-style. The menu changes daily, and always includes soup and four entrees, including vegetarian and healthy dining options. You’ve expended a lot of energy on your shore leave, so dig right in. And don’t skip dessert, prepared by our on-board professional pastry chef. While lunch was being served, our captain positioned us at our next landing site, an historic British research base, still appearing as it did decades ago. 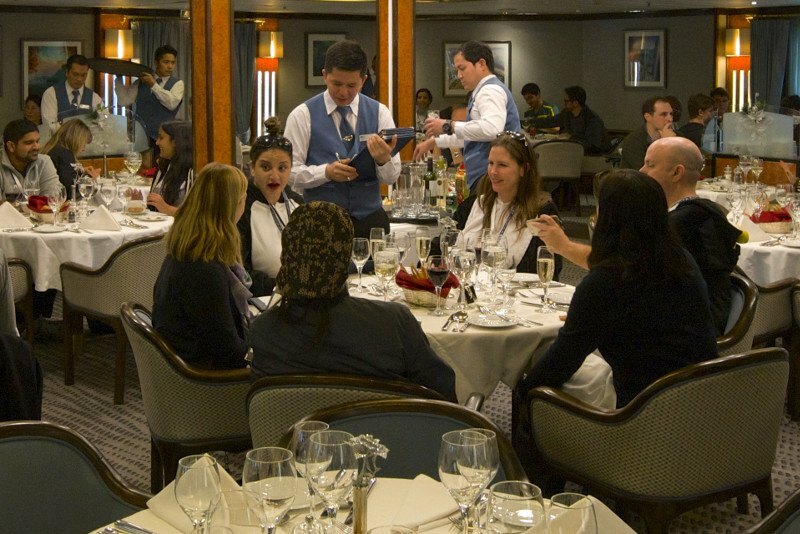 After returning to the ship, many of us gather in the lounge to share stories and pictures. 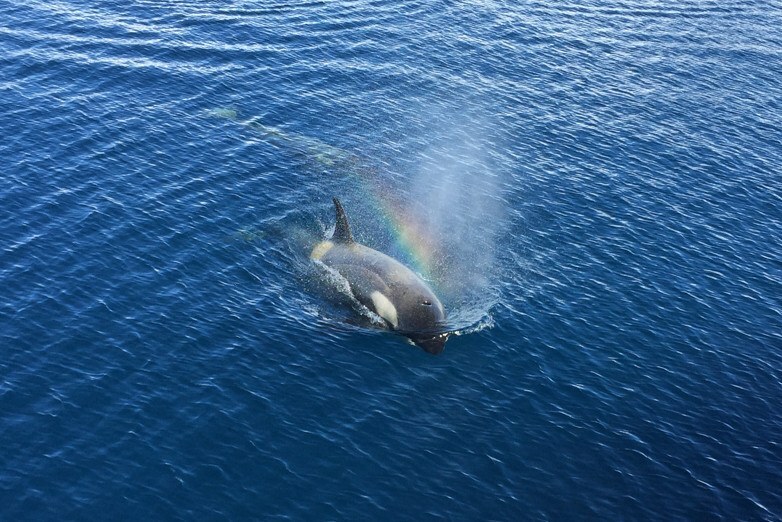 Suddenly, we’re interrupted by an announcement that a pod of Orcas has been spotted nearby. The outside decks fill with astounded onlookers and photographers, capturing a moment few ever get to see. Other passengers choose to watch the Orcas from the comfort of the ship’s lounge. The lounge opens in the late morning and provides an ideal space to relax, enjoy live music, and meet new friends. The Expedition Team and passengers meet for our daily recap. We review the day’s events, confirm rare wildlife sightings, and exchange stories and adventures. We also use this time to discuss proposed landings and activities for tomorrow. Entering the main dining room, you can tell the chefs have been busy. You’re greeted by the pleasant aroma of fresh herbs and roasted vegetables, and our smiling wait-staff stands ready to attend to your every need. By now, a subtle transformation has begun to take place. What started as a group of strangers on-board a mysterious polar voyage has evolved into a band of like-minded expeditioners, who have braved the elements together and have begun unraveling the mysteries of Antarctica. Easy smiles and laughter fill the room, heralding a camaraderie that will only grow stronger with each day and with each new adventure. Now, it’s time to relax, enjoy some great food, and unwind after an eventful day. A complimentary selection of wines and beer are offered, and the festive sound of popping champagne corks mark celebratory splurges around the room. Laughter slowly gives way to some serious decision-making as appetizer, soup and entree choices need to be made. Fresh seafood, meat, and vegetarian mains all sound delicious, so fair warning that choosing won’t be easy. Save room, because the Pastry Chef has something particularly decadent planned for dessert. If there’s still room, hand-made chocolates and a selection of cheeses accompanied by dessert wine will follow. After dinner, many will retire to their cabins or, better yet, to the lounge to upload and edit photos on their laptops. Some will meet in the bar to share stories over a nightcap, or to gather round the piano and relax before heading off to bed. Tomorrow awaits. It’s been another great day in Antarctica.